Solar developer INRG has spoken of how it wants to crack subsidy-free solar economics with its planned 120MW solar project. Last month INRG revealed plans for Little Crow Solar Farm, a prospective 120MW solar array with 50MW worth of battery storage that the developer intends to develop on land adjacent to the British Steel works in Scunthorpe. The site looks set to be the second solar farm to go before the planning inspectorate as a result of its planned generation capacity exceeding 50MW, hinting at scale being a crucial factor in the economics of subsidy-free solar development moving forward. Speaking to Solar Power Portal this week, INRG commercial director Ian Gannon said that his firm started the planning process around one year ago. Since then INRG has secured both the site and grid connection. Gannon said the planning application was “80 or 90% done”, with community consultations scheduled for next week to identify any areas local residents might be unhappy with. These will be ironed out before a second consultation period is launched. Gannon then expects to submit a full application to the planning inspectorate sometime in Q3 2018. This will formally start a process that INRG is estimating could take around 18 months and, should the developer gain approval without a hitch, construction is pencilled to start in the summer of 2020. Crucially for Little Crow, Gannon said that the site’s design and its grid connection capacity are “perfectly matched”. While other subsidy-free sites such as Hive/Wirsol’s Cleve Hill have been orientated east-west for a smoothed generation curve, Little Crow will be developed in a standard south-facing fashion. “There was no need for us to seriously consider an east west orientation, I think the east-west model is something which works on a grand scale where you have high grid costs and you need to maximise generation capacity. We did evaluate it, but it's not something that we needed to utilise,” he added. INRG is not the only developer planning subsidy-free developments in the UK, however. Anesco famously connected the country’s first subsidy-free project at Clayhill last year and intends to develop as many as four more this year, with NextEnergy Solar Fund hot on its heels. 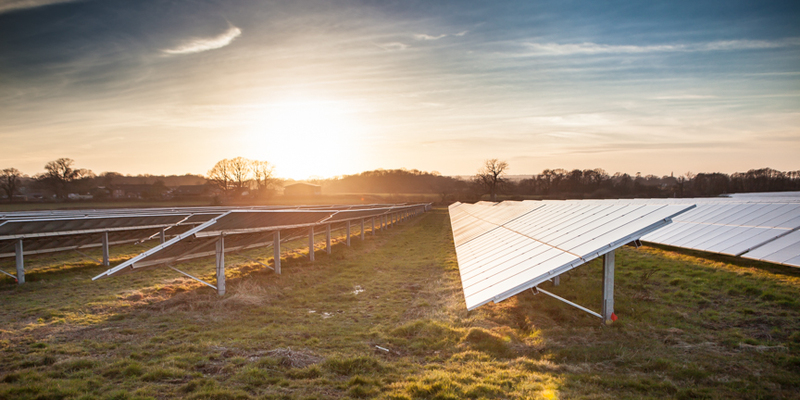 Solar Media’s in-house Market Research division has also been tracking planning applications for prospective subsidy-free sites, identifying a pipeline of up to 4GW of sites that could be brought forward. But Gannon believes that developers have yet to crack the “final answer” to subsidy-free solar in the UK. “The solar and storage model and technology is one that is evolving quickly and positively not just in the UK but also globally, ultimately post subsidy projects must have the right fundamentals and perform as rational financial investments,” he said. Those considerations, alongside the requirement for sufficient grid capacity and ideal land, have led Gannon to conclude that prospects in the UK may be limited. "We don't believe there's going to be a large number of projects like Little Crow solar park in the UK. I just think finding the right economics, the right site from a permitting perspective, the right grid costs and finding that size of available grid capacity are all limiting factors in the UK. "As a general rule for a post-subsidy project, finding the right large scale site with suitable economics is not easy to find. I think you need significant scale to justify the development costs and associated risk and we don't foresee a large number of sites that satisfy rational investment criteria in the UK,” Gannon said. Subsidy-free solar in the UK and across Europe will be the subject of discussion at Solar Media’s upcoming ‘Large Scale Solar Europe: The Transition to Subsidy Free’ event, to be held at Dublin’s Aviva Stadium on 13 and 14 March 2018. More information on the event and booking details can be found here.